Dr. Kolokythas is Chair and Program Director of the Oral and Maxillofacial Surgery Department. 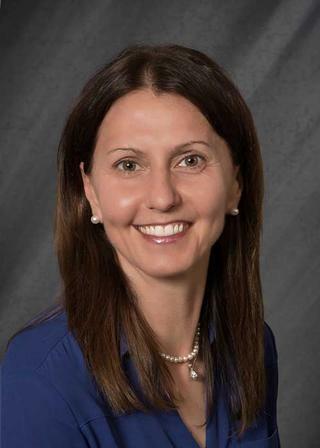 Previously, she was an associate professor, program director, and director of research in the Department of Oral and Maxillofacial Surgery at the University of Illinois at Chicago's College of Dentistry. She has published extensively in peer-reviewed journals, and has presented around the world, primarily in the various aspects of oral cancer. She is active with many professional organizations, and serves as editor for Oral and Maxillofacial Surgery Clinics of North America and Pediatric Oral and Maxillofacial Pathology. Dr. Kolokythas earned the 2014 Faculty Research Award and the DuBrul Faculty Achievement Award at the University of Illinois at Chicago's College of Dentistry, and was named one of the Top 25 Women in Dentistry in Dental Products Report.